ST. GEORGE – Being involved in a collision first thing Monday morning is not the greatest way to start the week. 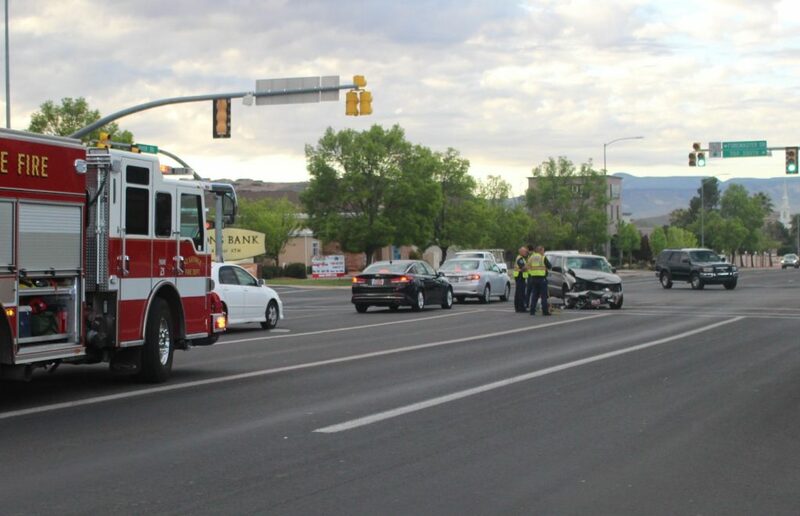 Unfortunately that was the case for two drivers involved in a collision at 700 South and River Road. At approximately 7:20 a.m., a Chevy S10 pickup truck was westbound from Foremaster Drive heading toward 700 South. 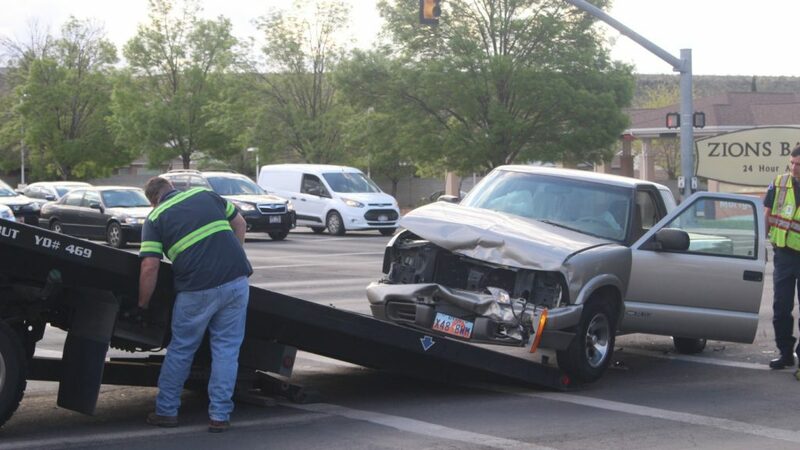 While crossing through the River Road intersection, the truck collided with a BMV SUV making a left turn, St. George Police Officer Andy Mickelson said. The woman driving the truck was injured in the crash, Mickelson said, though he couldn’t confirm the extent of her injuries. She was taken to Dixie Regional Medical Center by family who arrived at the scene. The male driver of the BMW SUV appeared unharmed. Following the collision, the truck ended up in the middle turn lane on the north side of the intersection, blocking the lane. It was eventually taken away by a tow truck. 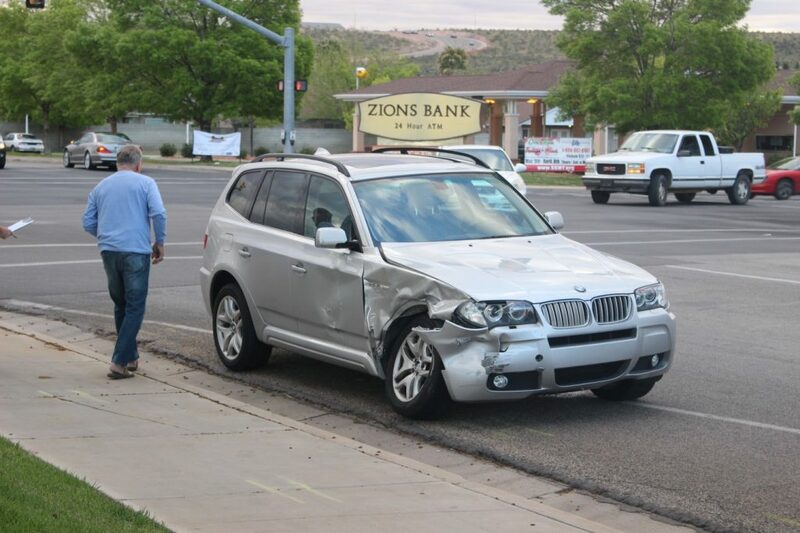 The BMW SUV was able to pull along the side of the road yet also required a tow afterward. The driver of the BMW was cited for not yielding on a left turn, Mickelson said.